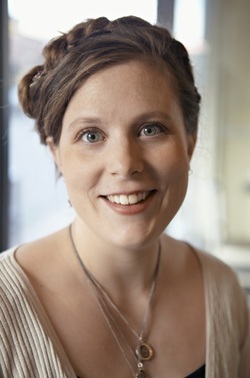 Marissa Burt writes middle grade fantasy and is the author of Storybound and the upcoming sequel Story's End. She grew up in Portland, Oregon, and drifted eastward, living in Colorado, Illinois, Tennessee, and South Carolina, before coming back home to the Pacific Northwest. Click here to read my review of Storybound. An impossible question for any self-respecting book lover. ;) I'm going to limit my selection to fiction, because otherwise it would just be too impossible. My top three in no particular order would be: Anne of the Island, by: L.M. Montgomery (really, all of LM Montgomery's books would appear on this list, but if I HAVE to pick one of her books, it would be this one. Such a friendly book! ), That Hideous Strength, by: C.S. Lewis (I love the entire Space Trilogy, but this one has some imagery that is particularly meaningful to me. ), and the The Return of the King, by: J.R.R. Tolkien. I spend countless hours reading. Seriously. This is what I do with nearly every spare moment. Even ones that I can't spare: I listen to audiobooks while I'm doing housework, sneak in some reading while my young sons have naps, and I always have a book in my purse just in case I'm out somewhere waiting in line. Add to that the nights I stay up way too late to read "one more page", and I really can't give you a hard number. Writing is a little easier to pin down, though my writing tends to go in seasons. If I'm working on a project, I'll often have several afternoons a week that I can devote entirely to writing. But, for example, right now, when I'm waiting to hear back on a few things, I do no writing!!! Such is the happy life of a writer who also spends a good deal of time taking care of her young children. Back in 2007, after the birth of my first son, I had the realization that this far-off dream I'd had of "writing someday" would never get any easier to accomplish. I began to see that the less free-time I had, the more selective I'd have to be with how I spent it. I began to write for one afternoon a week, playing with a story idea I had that was born out of my love for fantasy story-worlds - the book that eventually became Storybound. About a year later, I queried the book and was thrilled when Laura Langlie offered to represent me. She has been such a kind and generous partner in navigating the debut-author process. My wonderful now-editor Erica Sussman took a look at what was then titled The Tale of Una Fairchild and asked if I'd be interested in working on an exclusive revision. Her investment in the story was a huge gift to me, and I've so appreciated working with her and am happy that Storybound and Story's End eventually found a home at HarperCollins Children's. I'm going to dodge your question a bit, and say that I suppose writers are grown. I think all people have the creative impulse deep within them and carry the innate capacity for imagination and story-telling as part of their humanity. I'd guess that whether this plays out on the printed page or not depends a great deal on environment and opportunity. In my case, I think a good deal of how I see the world was given me when I was born, and my environment, the luxury of literacy, the influence of friends and family, and my education all channelled my story-telling into writing. My favorite thing about writing is the moment of inspiration - when the perfect scene pops into your head, or the solution of how to resolve a knotty plot-point appears out of seeming-nowhere. There is great satisfaction in finding the right picture or character or symbol to translate into the story, and I love the abundance of creativity that keeps one guessing as to where a story might go next. I think my least favorite thing is the flip side of that coin: not knowing where a story might go next. Sometimes this leads to a dreadful staleness, where I am just putting words on a page and wondering how in the world it will ever come together. As I'm learning, though, this seems to be part of the process, and if I hold steady through the doldrums I inevitably end up back in a place of inspiration. I would suggest that aspiring writers read as much as they can and as widely as they can. There really is no substitute for engaging the community of writers and readers in this way. Additionally, I would encourage them not to wait for the perfect novel idea or some filled-out project to begin writing. Write what you can - even if it is a scene, a character sketch, or a very short story. I find that keeping a journal is excellent practice. Oh dear! This sort of question turns up every so often, and my answer probably changes depending on whose books I'm reading at the moment. Today, I'd like to have lunch with C.S. Lewis, because I'm re-reading through many of his books, and I respect his work a great deal. One of my favorites is his Letters to Children. Any author who writes funny and warm replies back to his young readers - complete with doodled elephants and tigers - must be a lovely lunch companion. I adored this. Thank you for this glimpse into Marissa's world! Great interview. I read a lot too, including audio books when I walk. I'm going to start reading them with housework too. I loved Marissa's book and can't wait for book 2. Yes! Some days I even look forward to unloading the dishwasher if I'm at a particularly gripping part - haha!